To keep your ceramic tile installation looking fresh and new, it’s important to properly clean your grout along with your tiles. To do so, you don’t have to look far, as some of the best resources for cleaning grout can be found right in your laundry room. 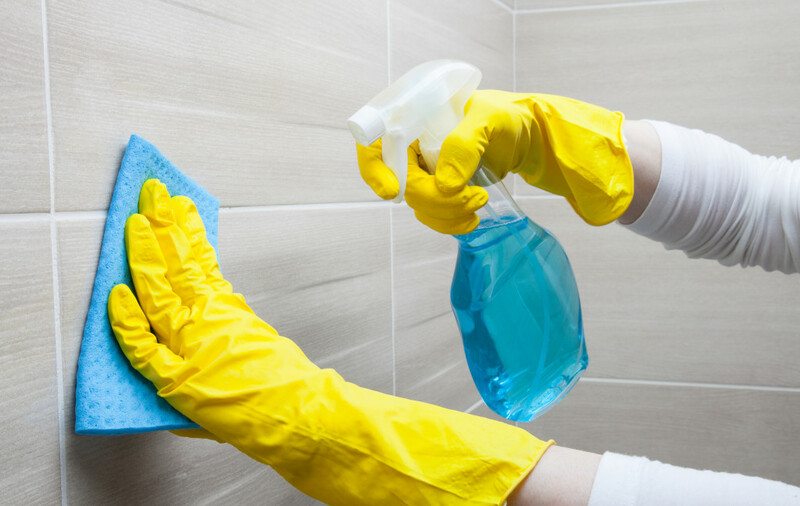 Take a look at the most popular and common products for cleaning grout to learn about their advantages and disadvantages. Chlorine bleach, when mixed with water, is a very effective means for cleaning ceramic tile grout. It acts as an oxidizing agent and is effective because molds and mildews thrive in areas that are oxygen poor. A drawback is chlorine bleach has the tendency to emit fumes before and after use, which may be irritating to some. Also, chlorine bleach may adversely affect colored tile grout, and as such, it is very important that you are aware of this possibility. It’s a good idea to read the instructions for your colored grout to confirm the appropriate use of chlorine bleach on your ceramic tile. Similar to bleach, hydrogen peroxide is an oxidizer. The extra oxygen molecule which defines it (h202), is the active agent in attacking stubborn stains caused by molds and mildew on ceramic tile grout. It is a good idea to wear rubber gloves when you are using hydrogen peroxide on your ceramic tile grout, as it is with any oxidizing agent. Use it in an area where you have plenty of ventilation and air flow, if possible. Also, it’s a good idea to seek the advice of local DIY experts who will be able to advise you on its use in relation to the kind of grout you have. Oxygen bleach is meant to be mixed with warm to hot water. The resulting solution is highly effective on stains when grout cleaning ceramic tile. The oxygen molecules in the bleach make it very inhospitable to the anaerobic (oxygen poor) nature of mildew, and many other stains. Oxygen bleach will also be much kinder to your colored grout. However, many of these products are less economical than more traditional household cleaners available. Generally, it will take a longer for oxygen bleach to render an effect on grout, meaning that you will be grout cleaning ceramic tile a bit more often. 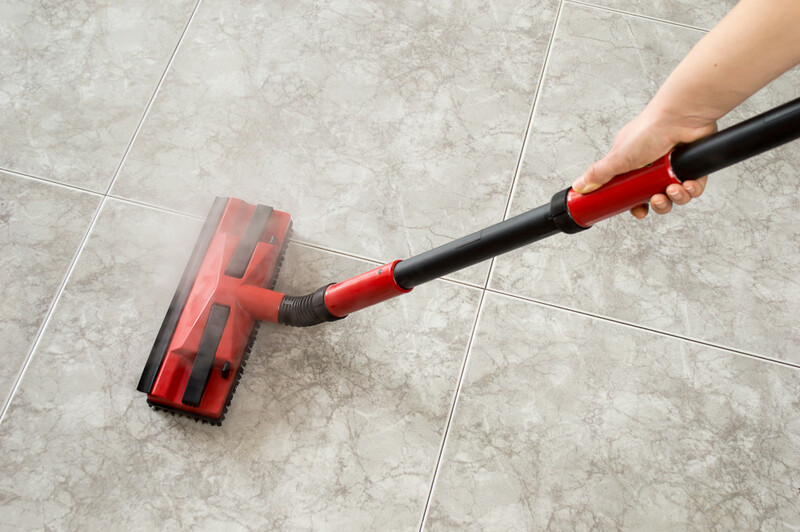 When cleaning ceramic tile grout, the option to steam clean may be the most appropriate choice to consider. A distinct advantage to steam cleaning is the simple fact that your hands, and other areas where skin is exposed, do not come into contact with any chemicals or oxidizing agents. Using only water and high pressure, steam cleaning has great potential to restore and disinfect surfaces which have been dulled by the presence of biological stains. Many allergens and pathogens can be eliminated too, due to the high temperatures it creates on the surface of ceramic tile floors. It may be best, in some cases, to rent a steam cleaner instead of buying one if your cleaning requirements are for less frequent intervals. When using a steam cleaner in either case, it is wise to read the manufacturer’s instructions for the most effective, and the safest, method of use. This is also true when choosing any of the products outlined above. Another point to consider is that the cleaning products industry is constantly researching and marketing new ways to approach cleaning tile grout. As such, it may be worth your while to seek out the latest products that may be more suitable than the standard methods for cleaning tile grout mentioned above. If you’re concerned with the issues of environmental impact, or even the health issues surrounding the use of fume-producing cleaning agents, doing a bit of research on the specific product before you make a purchase is a good idea. This will help you determine which products to avoid and which products don’t have the disadvantages of traditional tile grout cleaners.